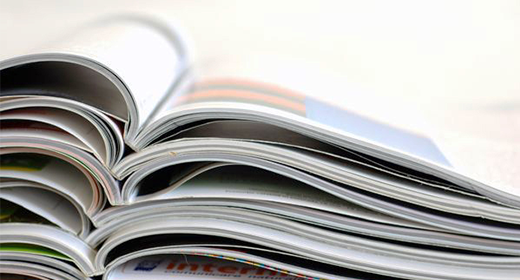 Print media is dead and it’s all about digital, right? Newspapers and magazines may as well pack up shop and leave way for the millions of blogs, websites and social networking pages that are receiving more engagement, readership and, best of all, cost nothing. Netpage is set to change all of this. Pacific Magazines has recently signed an exclusive deal with the mobile application that claims to turn every page of your magazine into an interactive experience. Quite a big claim if you ask me. However, on downloading Netpage and having a ‘play’ with some Pacific Magazine titles, I am convinced this is not the end of the print era – in fact, it’s the beginning of a new, integrated print/digital era that is more exciting than anything I’ve seen in this space before (pick up this month’s Better Homes and Gardens or Marie Claire to see for yourself). So what makes Netpage different to the old QR code? How does Netpage work? What’s interesting about Netpage is it does not simply stop at image sharing. The real benefit of Netpage is in the interactivity it provides when scanning ‘Netpage’ articles or advertisements throughout the magazine. When an advertisement or article highlights the ‘Netpage’ logo, on scanning the page, the page ‘comes to life’. This is before you have even opened the magazine. The E-commerce component of Netpage is what excites me most. Love the dress in the magazine you’re reading and don’t have time to head to the shops? If it’s a Netpage feature, simply scan the dress and it will direct you to purchase it online there and then. Advertisers are now given the opportunity to engage readers like never before, by directing them straight to an ecommerce site. While QR codes did this in the past, their lack of engagement (read more about that here) was because the everyday consumer didn’t know what a QR code was or how to use it. The beauty of Netpage is that its simple interface is familiar to the everyday consumer. It’s easy to scan an image and follow the prompts. The added bonus that you can share it on social media is another drawcard. With Netpage, readers are given more of a reason to purchase their favourite magazines because of the ease of integration with their favourite digital platforms and the extra incentives they will benefit from. And if that’s not exciting, then call me a QR code.